Sometimes, it can seem like most of the introductory paragraphs I write for these blog posts are explanations (or apologies) for the posts I’m not writing — i.e., the posts about the classic comic books I can’t write about here (at least not directly), because I didn’t buy them new off the stands fifty years ago. 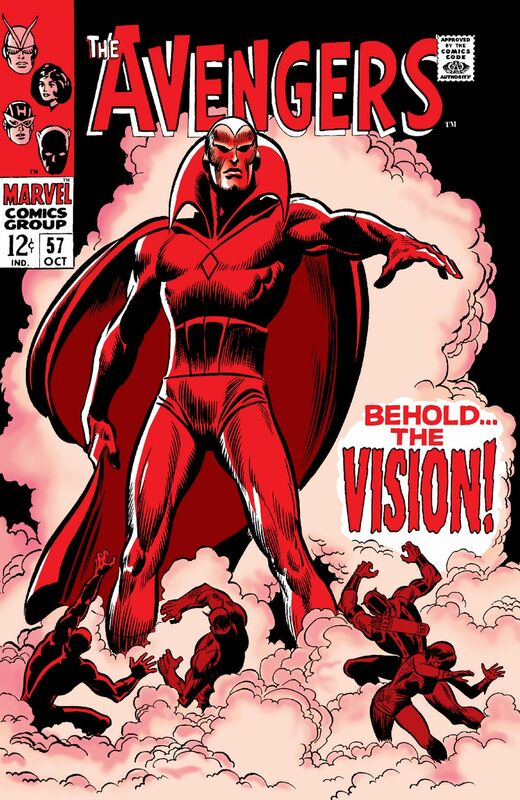 That’s been especially true for the comics of 1968 — a year seemingly chock full of milestones, of which I seem to have missed at least as many as I caught. 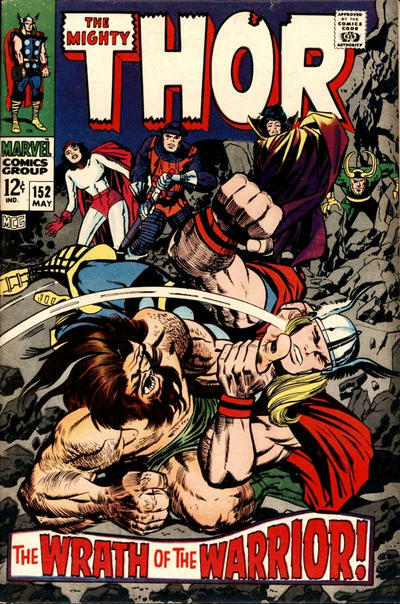 The latest example came just last week, when I had to explain in the introduction to my Avengers #58 post how I’d missed the three issues that led up to that landmark story. And this week, we have yet another one. 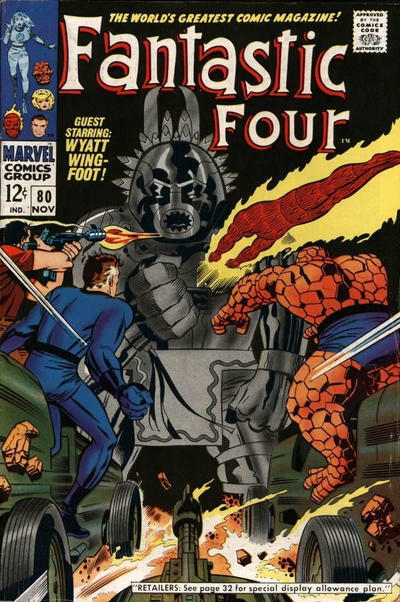 If you’re a regular reader, you may recall that my first issue of FF was #78, which featured the first half of a two-part story in which Ben Grimm was cured (again) of being the Thing; unfortunately, I missed the next month’s issue, and by the time I got back on board, with #80, Ben was all orange ‘n’ rocky again, and he and the other guys were having a brief adventure way out West prior to the birth of Sue and Reed Richards’ child. But hey, at least I got to witness the return of one-time regular supporting character Wyatt Wingfoot, along with the awesome debut of a brand-new villain, Tomazooma! 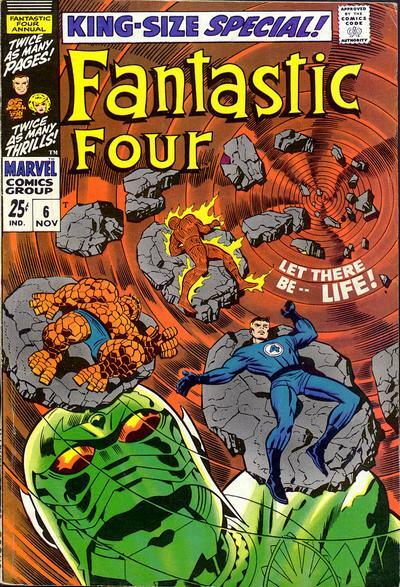 Still, that would soon prove small consolation for my missing the next issue of Fantastic Four to hit the stands — namely, the 1968 Annual, which featured not only the debut of a considerably more impressive (and durable) villain, Annihilus, but also the introduction of a brand-new supporting character: none other than Reed and Sue’s bouncing baby boy, Franklin Benjamin Richards.